This is, I presume, a coincidence. 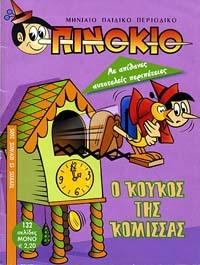 (I don’t read Greek, so I’m not even sure if Otto is amphibian; you don’t need to look anything like a frog to look like Flip.) 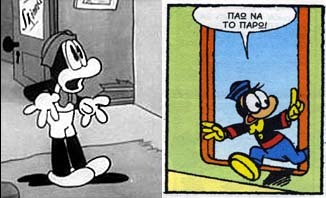 But if anyone tells me that Flip was known as Otto in Greece and has been a popular comics character for the past 70 years, I’ll choose to believe. Posted by HarryPosted on November 20, 2005 Leave a comment on Flip Lives!